06 February 2019, at 12:54p.m. The pet food business is a lucrative one. The UK pet food market value, according to the Pet Food Manufacturers Association, is over £2 billion. The European Pet Food Industry Federation (FEDIAF) estimates that there are 132 pet food producing companies. Currently, there are hundreds of options in the market available to consumers. Pets are loved family members, and we want to provide them with the best nutrition to promote a healthy and long life. 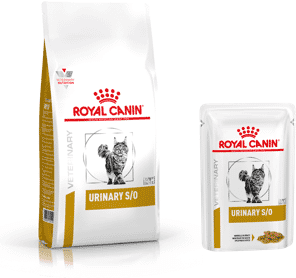 Feeding trends in dog and cat nutrition have evolved in parallel to those in human nutrition and the pet food offered in the market has diversified. It is an important part of the work of veterinarians to help pet owners choose a good diet for their pet, among the hundreds if not thousands of pet foods in the market, with very different nutritional philosophies. Feeding healthy pets requires using a complete and balanced diet (for the species and life stage and adapted to lifestyle and sensitivities), in sufficient amounts to ensure a healthy body weight and a lean body condition and promote health. Veterinarians must perform a nutritional evaluation at each visit to recommend the best feeding plan to achieve these goals. This assessment also will help identify risky feeding practices to discuss with owners, identifying their concerns and providing solutions to ensure they are happy, and their pets are safely nourished. The World Small Animal Veterinary Association (WSAVA) website has a toolkit to help the veterinary team perform this assessment here. Pet food legislation is harmonised among European Union members. Legislation aims to promote safe and nutritious pet food and regulates the pet food label. The label must define if the product is “complete” or “complementary”. Complete diets provide all the required nutrients and energy in the right amounts and proportions, whereas complementary diets do not. At least 90 percent of the daily calories should come from a complete diet. The label also contains other nutritional information, such as the analytical constituents (crude protein, crude fat, crude fibre, ash and moisture) and the ingredient list. The analysis only provides values of two (protein and fat) out of the approximately 40 essential nutrients required by dogs and cats. The ingredient list does not provide any information on ingredient quality and websites using ingredients to rank pet food are not reliable. Ingredient quality depends on nutritional content, bioavailability and safety (freshness, free of pathogens and contaminants, etc), none of which can be deduced from the ingredient name or its position on the list. The legislation does not detail the specific requirements and it is up to each manufacturer to ensure that their diet is nutritionally adequate, which requires self-regulation. FEDIAF provides recommendations to the industry regarding nutrient requirements, which have been endorsed by the EU and can be found on the FEDIAF website. Consumers must trust that the pet food company is ensuring the nutritional adequacy and safety of the diet. It is important to assess the manufacturer: do they employ experts (nutritionists, food scientists, etc)? How do they determine nutritional adequacy, bioavailability of nutrients, palatability and digestibility? What quality control steps do they use to ensure a safe and nutritious product before, during and after processing? The WSAVA provides a document that consumers and vets can use to call up the manufacturers here. According to the legislation, claims should be truthful and not mislead consumers and, in the case of functional claims (such as “promotes a shiny coat”), evidence should be available backing such a claim. Maintenance diets cannot make prevention or cure claims. One of the most popular claims is “natural”. FEDIAF recommends that the term be only used to describe substances in pet food derived from plant, animal, micro-organism or mineral, to which nothing has been added and which have been subjected only to such physical processing as to make them suitable for pet food production and to maintain the natural composition. Ingredients that are GMO cannot be labelled as natural. Basically, the claim “natural” relates to the processing of ingredients. Many commercial diets are not 100 percent natural, since many vitamins and minerals are purified sources; in those cases, the label might read “natural diet with added vitamins and minerals”. Natural and other diets with ingredient claims, like human grade or organic, are not more healthful than conventional options, and claims should not indicate otherwise. However, the above definition of “natural” does not really align with what consumers think when considering a natural diet. Usually, a natural diet is understood to be closer to what cat and dog ancestors would consume in the wild. Some examples of pet food marketed as such include grain free and raw diets. Arguments in favour of their use is that they are more “evolutionarily correct” than conventional pet food and therefore will result in better health outcomes. Cereals have been used in pet food for a long time and are adequate sources of nutrients and energy. The grain free claim should not suggest that cereal-containing diets are negative for dogs and cats. However, some proponents of these diets do suggest that cereals are bad because dogs and cats have not evolved eating them and they are less nutritious and could result in allergies. Both arguments are untrue since it has been shown by genome studies that dogs have a better capacity to digest and use starch due to years of scavenging human leftovers, and meat sources are much more commonly reported as canine and feline allergens than grains in the literature. Many of these diets include non-cereal starch sources such as root vegetables or legumes and therefore are not always lower in starch than grain-containing diets. Grain free diets have been in the market for a few years, and there is no evidence to support their superiority compared to diets that include cereals. Recently, some grain free diets, especially those from “boutique” brands and those using potatoes and legumes and exotic protein sources, have been associated with diet responsive dilated cardiomyopathy in non-typical canine breeds. The FDA is actively investigating this issue. In some, but not all, of these cases, the DCM is associated with taurine deficiency, which could indicate a lower bioavailability of the precursors (methionine and cysteine) in some of these diets. In the cases with normal blood and serum taurine, the cause of the DCM is still unknown but we know it responds to diet change. Similarly, raw diets have been proposed to be better for dogs and cats; however, the evidence does not support most of the benefits touted, from optimal nutritional adequacy to better oral health. On the other hand, their risks have been well documented and include nutritional inadequacy, problems associated with bones (obstruction, constipation, broken teeth) and microbiological contamination and zoonosis. There have been publicised cases of humans getting sick from microorganisms present in raw pet food and feeding raw diets is associated with higher faecal excretion of pathogens in dogs, which can be silent carriers. Concerns have been raised regarding the zoonotic potential for food-borne infections, especially in immunosuppressed or immunocompromised individuals. Due to these concerns, some veterinary hospitals have implemented no raw feeding policies in their hospitalisation wards to protect their staff and their patients. If owners want to feed raw, they should be well informed of all potential risks (including risk of zoonosis) and educated in safe handling and hygiene practices but the microbiological risk is never eliminated. Overall, diets that are marketed as “natural”, “evolutionarily correct” or “biologically appropriate” assume that we know the diet domestic dogs and cats have evolved eating and assume that feeding such diets would promote longer and healthier lives. These are very attractive arguments, but a diet being more natural or closer to the ancestor’s diet does not imply optimum nutrition, since animals in the wild eat what is available and the lifespan of wild canids and felids is shorter than their domestic counterparts. The goals of nature/evolution are also different from pet owners’ goals, and feral animals can die young due to broken teeth, malnutrition and parasitism. There is not one single ideal dietary philosophy that is best for all pets, and the best diet for a particular pet will depend on the nutritional evaluation. Finding evidence backing up the efficacy and safety of these philosophies is important to counsel our clients. 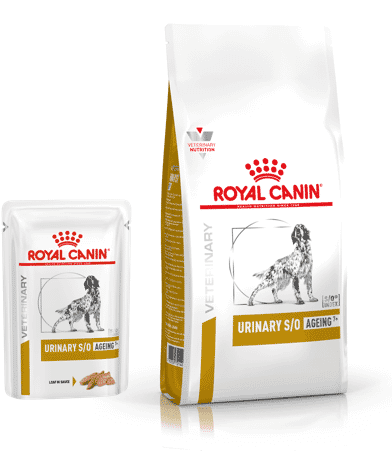 When choosing a diet, the pet food company should be carefully assessed, especially their quality control, their nutritional adequacy determination and their research background. Claims should be taken with a dose of scepticism and the ingredient list should not be used to decide on the quality of a product. Personal experience with the company and their products is invaluable; performing complete diet histories in all patients and communication with manufacturers will strengthen each clinic’s diet information database. A full reference list is available on request. Cecilia Villaverde, BVSc, PhD, Diplomate ACVN, EVBS, is a European Specialist in Veterinary and Comparative Nutrition. Cecilia is board certified in veterinary nutrition by the European College of Veterinary and Comparative Nutrition. She is a consultant in clinical nutrition for Expert Pet Nutrition and Veterinary Information Network.